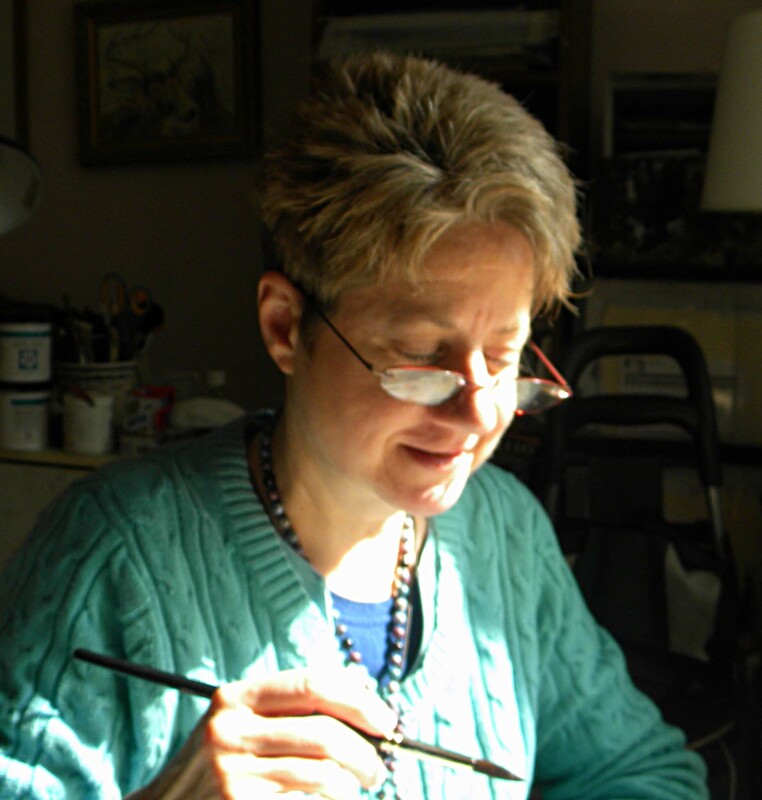 Dr. Hughes-Saurina began drawing and painting in watercolor shortly after moving to lower Bucks County in 1985 to practice veterinary medicine. It is no surprise that pets, her own and her patients are her favorite subjects and pet portraits are her primary source of commissions. Her knowledge of how they are formed, how muscles work and fur grows enhances her art. Medical training in observation produces expressive eyes that bring animal faces whether wild or beloved companions to vibrant life. She works primarily in transparent watercolor or oil on panels to achieve glowing glazes. Donna's works have been exhibited in several juried shows in Bucks County Pennsylvania including the annual Phillip's Mill Art Show. Her pieces may also be recognized in the anonymous 40Art show in Doylestown. Donna divides her time between veterinary practice and painting. She lives in Langhorne, PA and with her husband provides a pampered existence for their three cats and a former guide dog enjoying his retirement. "Starting with the eyes I make detailed drawings of my subjects with pencil, then paint following their contours, exploring patterns, looking for design. My backgrounds are often abstract suggestions of habitat. While I do work on paper, I fell in love with Ampersand Encaustic board because of the freedom and control it allows. Therefore, most of my pieces can be varnished and framed without glass.